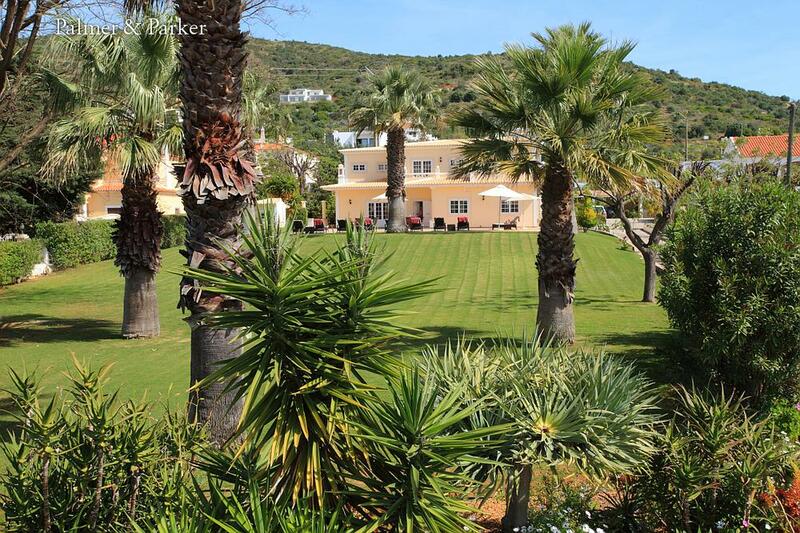 If you’re looking for a luxury villa in Algarve that can accommodate large groups of friends and family – we can help. The Algarve is one of the best destinations in Europe for family holidays with an all year round warm climate and around 300 days of sunshine. There’s loads to do for the whole family from toddlers to teens and older family members. Beautiful beaches, culture, historic towns, great wines, fabulous gastronomy, colourful markets and gorgeous restaurants – the Algarve has it all. So why not share it with a group of friends or the whole family, and book one of our larger villas where everyone can have plenty of space and loads of luxury extras. This large and gorgeous pastel coloured villa, located between lovely Vilamoura and Amancil has six bedrooms plus a separate annexe with a further 2 bedrooms. With a large pool, fabulous gardens and maid service, everyone will enjoy a relaxing holiday here. A restaurant and café are within easy walking distance and a short drive to any number of superb beaches. Nightlife and sports are close by including the sophisticated world-class golfing resorts of Quinta do Lago and Vale do Lobo, about 15 minutes away by car. Vilamoura with its magnificent marina is also about 15 minutes’ drive. Imagine waking up, taking a dip in the large pool, perhaps a game of tennis, a stroll in the vineyards in the back garden, picking fresh fruit from the orchards for breakfast. In the evening aperitifs on the terrace overlooking the town of Lagos and the ocean… Villa Almara is super special and in a really fantastic location, around two kilometres from Lagos, 1km from the beach and close to shops. The pool has slides and diving board, there’s a great barbecue area and huge gardens. The main house sleeps 10, an annexe has 2 bedrooms and pool house has been converted to a cottage with bedrooms. 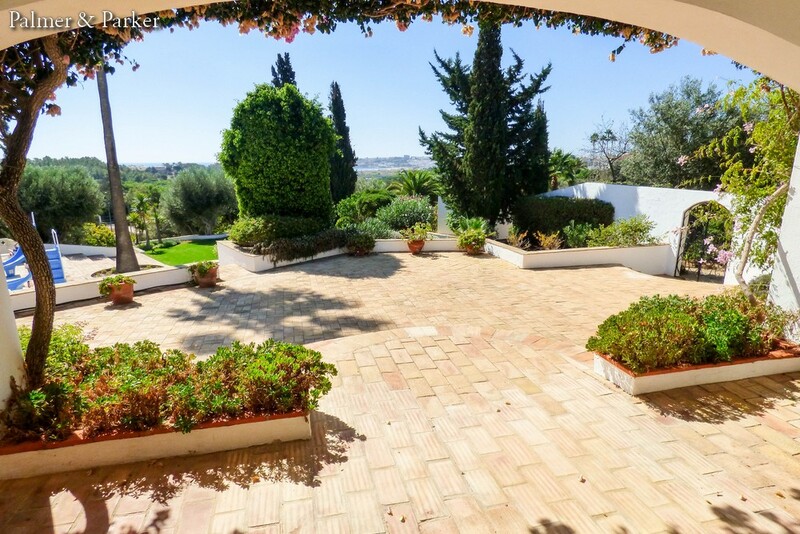 This is an exceptionally large house in a very scenic spot in Pinhal Velho, surrounded by pines and overlooking the famous Millennium golf course. With 9 bedrooms, games room, home cinema, gym, steam room and infinity pool – there’s plenty to do for everyone. The garden leads straight onto the golf course so for those who like to get a round in – this is absolutely ideal. 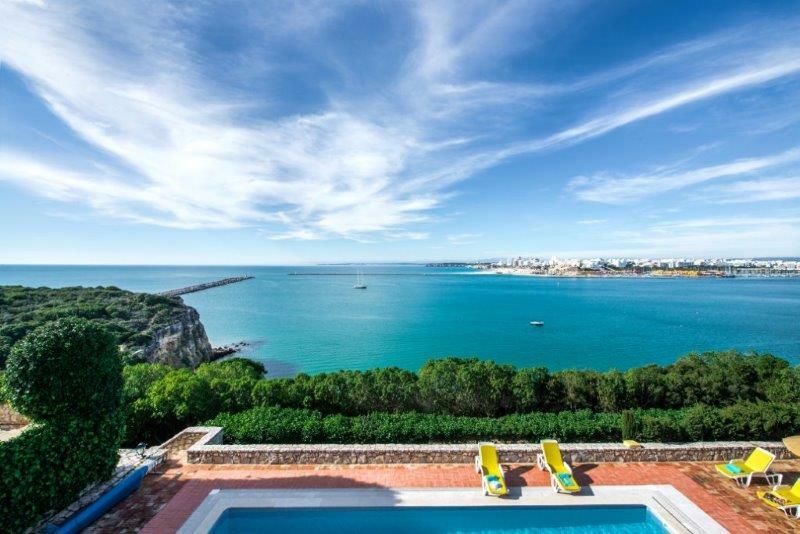 Overlooking the Bay of Lagos to the beach of Praia da Rocha from the cliffs of Ferragudo, this is a traditional Portuguese manor house with 9 bedrooms. There are stunning views over the ocean, a private chapel, grand piano that musical guests will adore, the house is beautifully decorated and has one of the best terraces in Portugal – that view! If you’re looking for a contemporary designed house of the highest standard then Diamantina is it. 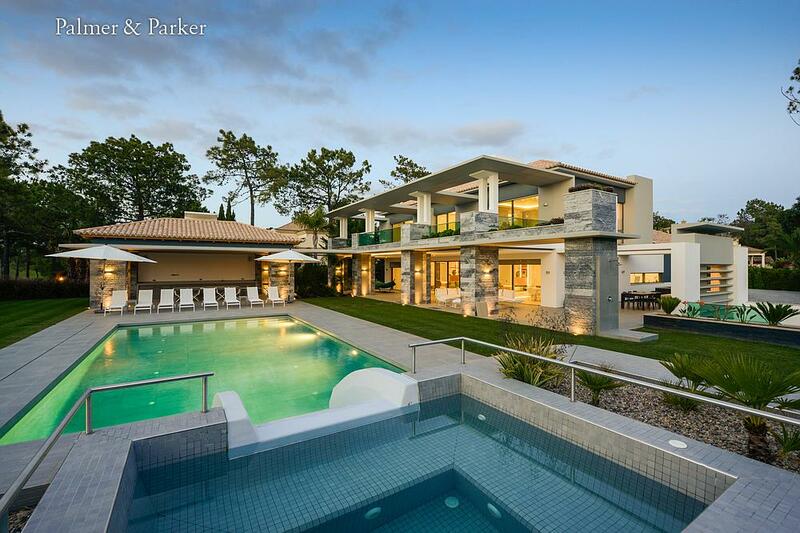 Sublime, superb and sensational – this is one of the best houses in Quinta do Lago. Exquisite furnishings and state-of-the-art equipment, including smart home system and home cinema plus heated indoor and outdoor pools and a jacuzzi. 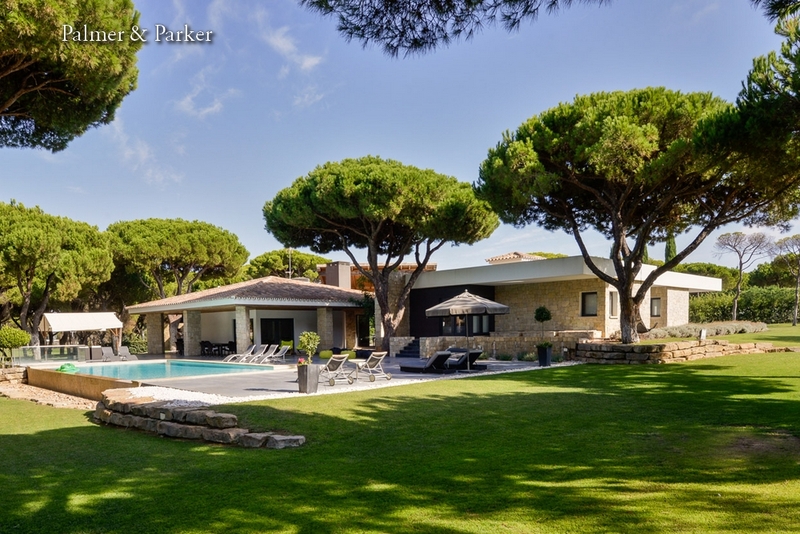 It’s in the Monte Golfe area in the heart of Quinta do Lago, front line to the golf course. 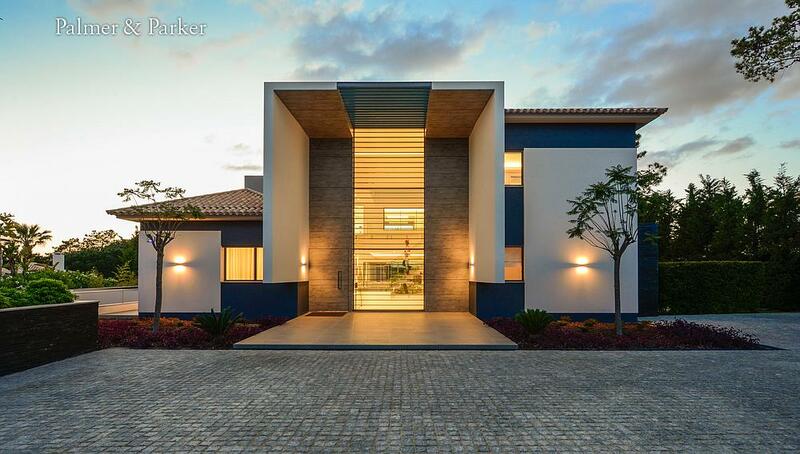 This entry was posted in Portugal by Palmer Parker. Bookmark the permalink.